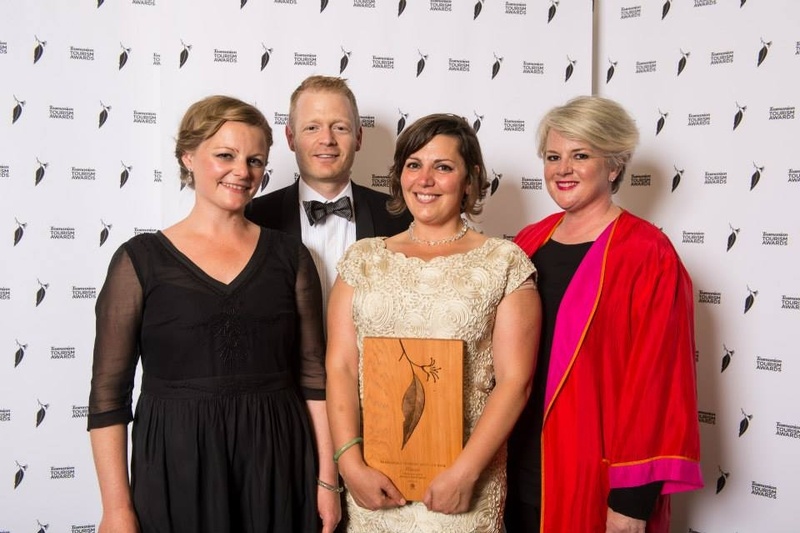 Junction Wins A Tasmaninan Tourism Award! Junction Arts Festival won the Tasmanian Tourism Award in the category of Festivals and Events last Friday 7 November at Tourism Industry Council Tasmania’s gala awards ceremony at Wrest Point, Hobart. Junction is now a national finalist in the category of Festivals and Events in the Qantas Australian Tourism Awards to take place in Adelaide in April next year. Junction Arts Festival has become a significant cultural attraction in Northern Tasmania and a respected commissioner, producer and presenter of participatory live arts practice in Australia. The annual Tasmanian Tourism Awards facilitated by Tourism Industry Council Tasmania recognises outstanding achievement across all tourism industry sectors in Tasmania and aims to provide a benchmark for best practice in the tourism industry. In October, Junction was also recognised for their contribution to the Launceston community, winning the Building Communities Award at the Launceston Chamber of Commerce CGU Business Excellence Awards. Events Tasmania is Junction’s principle funding partner with generous support also from Launceston City Council and W.D. Booth Charitable Trust. Corporate partnerships and local businesses are also an integral part of the growth of the Festival. Junction Arts Festival Chair Steve Henty said: “We are very pleased to have two of our long-standing corporate partners Boag’s Brewery and Launceston Airport acknowledged for their contributions to the tourism sector in Northern Tasmania through their respective wins at the Awards event. We look forward to joining them at the National Tourism Awards”.